Meet the Big Lebowski of the bear world. 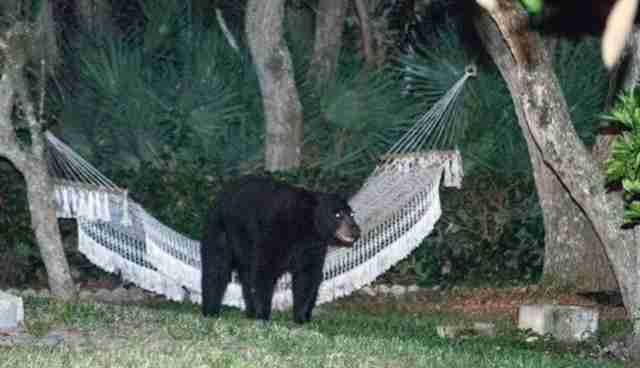 This relaxed black bear swayed back and forth on a hammock in Daytona Beach, Fla., for about 20 minutes, according to photographer Rafael Torres. 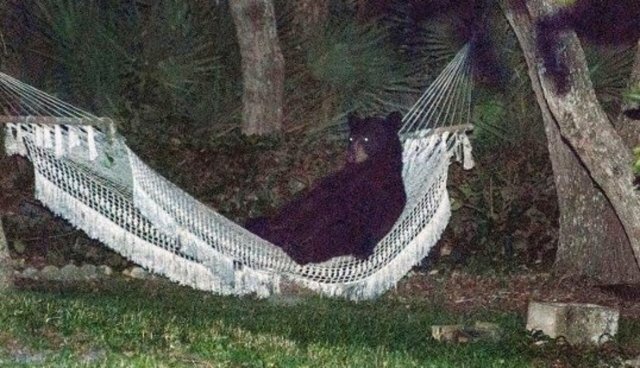 "He got in the hammock like he was a tourist or something," Vincent James, owner of the hammock, said to local media outlet WESH.